Our car hire offices in La Palma. In La Palma we have car hire offices at the airport of La Palma and at the habour of Santa Cruz de La Palma. Choose from any of our cars on the island: economic, compact, 4x4, van, station wagon, convertibles, luxury vehicles, etc. Make your booking with confirmation in real time, and enjoy our quality of service guaranteed by our Tourism Awards 2007 and 2009. 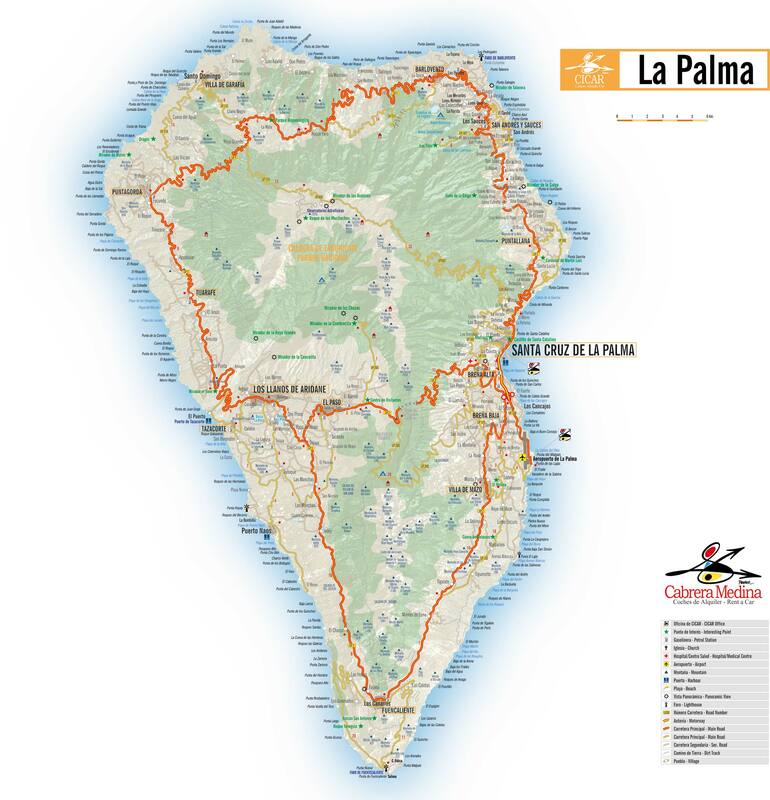 Download our free map of La Palma and have always handy location of our offices. In addition, we give you free in printed version. Ask our staff. Now you can enjoy the audio guide to Lanzarote on CD and a map of the island including a list of contents. The audio guide to Lanzarote is an innovative service offered by Cabrera Medina to users of its rental car service at no additional charge. Enjoy your car hire in the Canaries with our free services included in the price. See our car hire fleet in La Palma island.